One half of the duo that lead the Netherlands’ Atelier NL design studio, artist Nadine Sterk uses her work to explore the wealth of the earth and demonstrate the value of locally-sourced, raw materials. 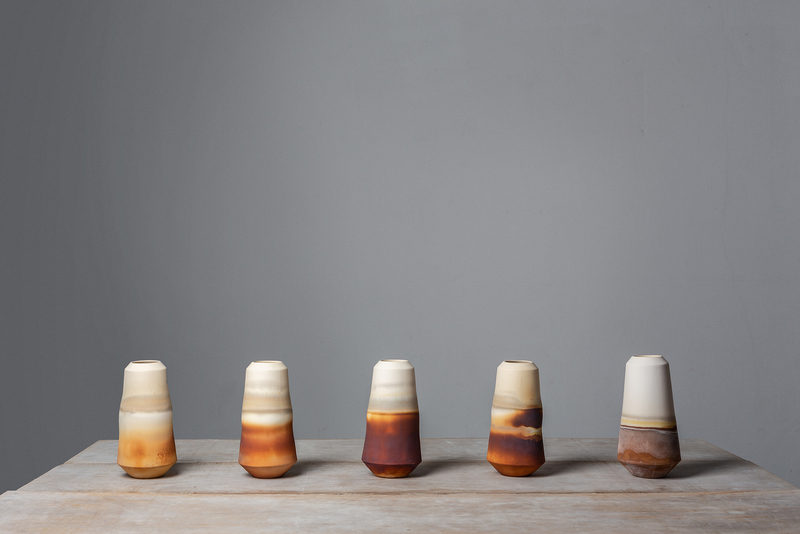 By analyzing the hidden stories of the earth, Sterk and Lonny van Ryswyck have developed a unique research method in which locally “wild” sand and clay is converted into glass and ceramics. Sterk, who is a graduate of the Design Academy Eindhoven, first linked up with Van Ryswyck while they were both students. Advised by a teacher to forget about the world for a while, the two set out exploring the territory of the Netherlands, beginning what would become a continued practice of analyzing the hidden narratives of the earth and all that it produces. Atelier NL is a design studio that transforms found materials, such as sand and dirt, into everyday objects. Each glass object bears a stamp with the origin of the sand from which it is made. Atelier NL’s work has received several awards for design and has been selected for New Glass Now, the 2019 global contemporary glass survey exhibition at The Corning Museum of Glass.